You’ve just moved into your new place, you’re replacing old window treatments or, after years of finally living with nothing on your windows, you finally decide to take the plunge. Now’s when the fun begins, right? Maybe not. 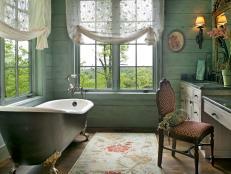 If you’re like most of us, the idea of choosing just the right window treatments can be downright daunting. Do you go for blinds? Roman shades? How about plantation shutters? Or do you keep it simple, with window panels or scarves? And then there’s the question of custom window treatments. Do you hire a seamstress to make custom curtains or blinds, or break out the sewing machine (or the hot glue gun and seamstress’s tape) and do it yourself? Luckily, there are plenty of great window coverings at affordable prices. 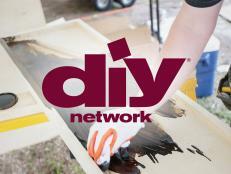 Armed with a few designer tricks, you can give your windows a unique look that totally suits your style. Layering window coverings is one of the easiest ways to get a designer look. Think of your windows the way you think of your outfit, with the basics underneath and the outerwear on top. 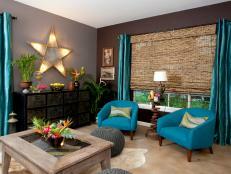 In addition to giving a room a super-finished look, layering also gives you complete control of light and privacy. The first layer – blinds, shades or shutters – is there to provide privacy, block light and give a uniform look from the street. 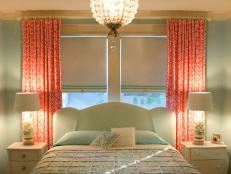 You could choose to DIY a blackout roman shade or a custom roller shade, or buy a premade bamboo roll-up blind. When layering, we recommend keeping this under-layer neutral. Next, add a sheer. Sheers let in light without completely blocking the view, while still offering a little bit of privacy. Lace and voile are classic fabrics for sheers, and white or off-white are not only an easy choice, they also give you a classic look. 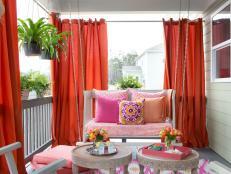 Finally, complete your window treatment with beautiful drapes or window scarves. Depending on your style, you could go totally neutral, or pull colors from your decor – or even use your drapes as the focal point of your room. Layering gives rooms an expensive, sophisticated look that doesn’t cost a lot to achieve. If your taste runs more to modern and architectural, or you just want to add a pop of color and pattern to your space, consider a beautiful fabric blind, with or without trim. 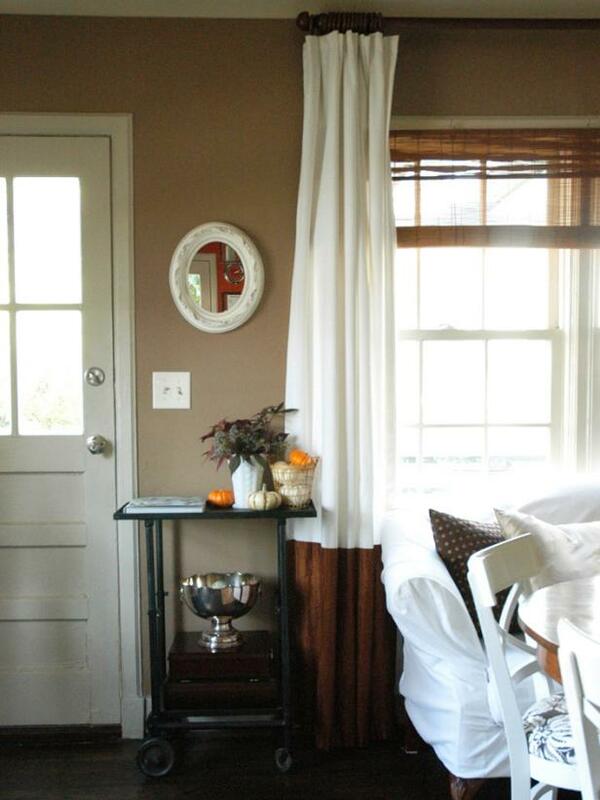 Try a Roman shade for a softer look or a roll-up blind for something crisp. Fit them inside the windows for a polished appearance. 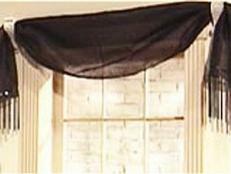 Another option is to use a sheer and a valance, or a sheer and a window scarf. We like window scarves because they offer so many options – use real scarves you pick up at the thrift store, or buy premade window scarves that you change out with each season. 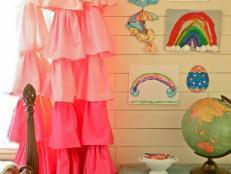 In addition to being affordable and easy to install, they’re a great way to get an elegant, cute or high-impact look. Finally, pick your window treatments to match your style. These no-sew grommet curtains are totally on-point for transitional and modern rooms. And these no-sew chevron curtains, are perfect for contemporary spaces and these easy, beribboned Roman shades would rock a traditional room down to the window sill. So whether your taste runs to super-sophisticated or pretty-and-simple, get armed with these designer tricks, and go confidently into the world of window coverings. You’re sure to come out with treatments you can afford, and that will make you happy every time you walk into the room. 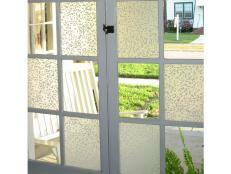 Here's a unique window treatment that can be done for just pennies.